Recorded in only three days, Time Stands Still is just the eleventh studio album of a career that now spans over four decades. 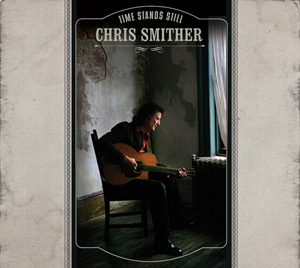 The brand new Chris Smither album is both pensive and visceral – the songs alternately ponder life’s mysteries, and let them lie undisturbed. Featuring eight new original compositions and a song apiece from Bob Dylan, Mark Knopfler, and 1920s country-blues songster Frank Hutchison.